You only need a few things to get you started! 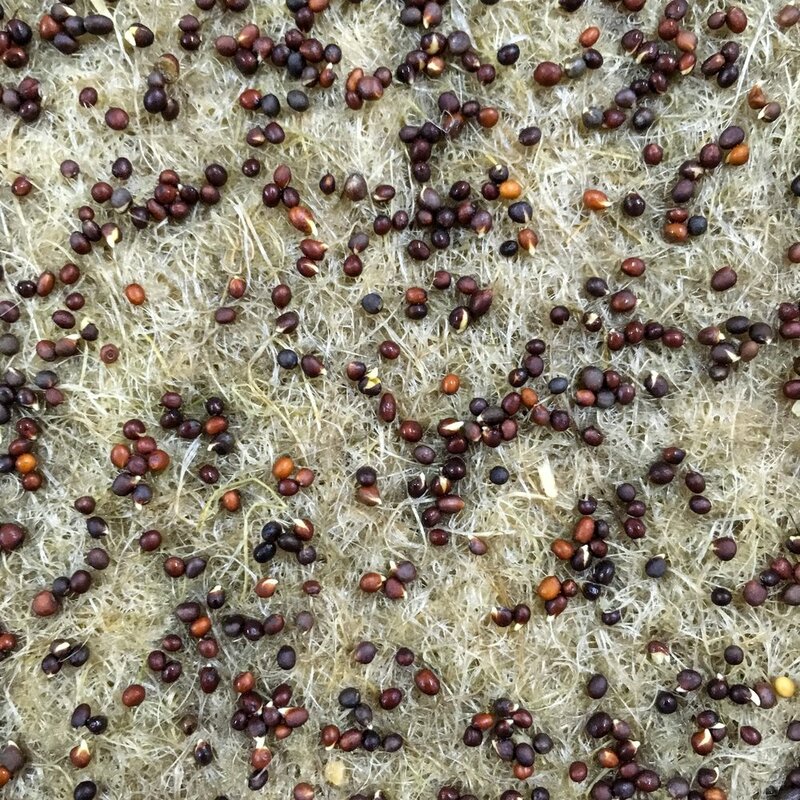 While there is no true distinction between seeds for microgreens and adult plants, quality is crucial. We select our organic, non-GMO seeds from highly producers who ensure excellent germination rates. We use hemp fiber mats that are 100% compostable and biodegradable. This means less risk of contamination from soil-based pathogens! Some seeds with tougher shells, like beets and swiss chards, do require soil to germinate properly, so if you are growing these varieties make sure to buy high quality, organic soil. 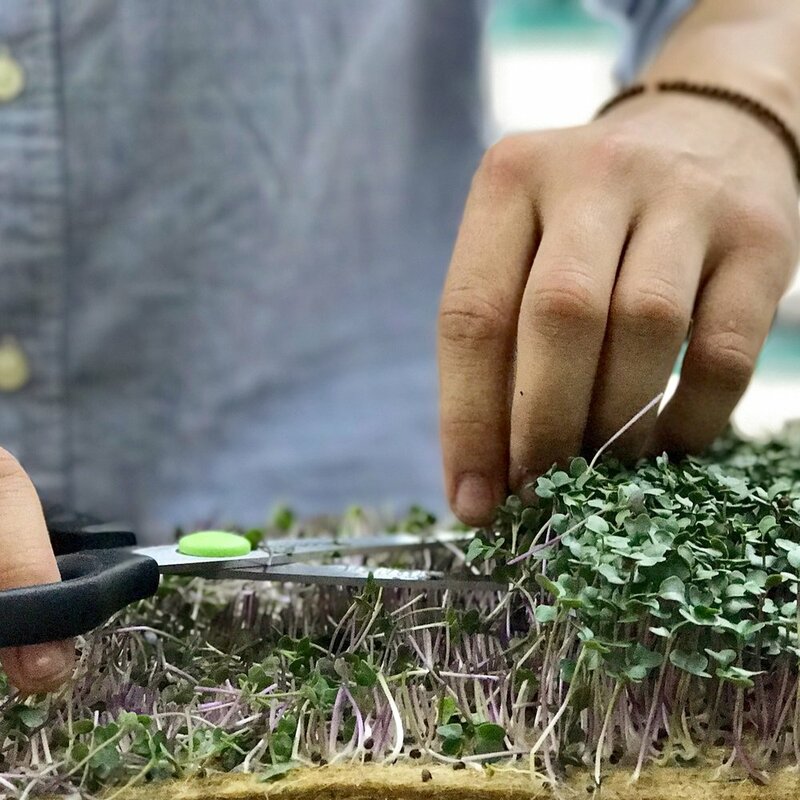 You don’t need any fertilizer to grow microgreens - just good old Mother Earth! Choose something that is durable and easy to clean. You can re-use plastic fruit and vegetables containers, or you can get seedling trays from gardening stores like we do. Clean, cool, filtered water is the way to go. You can grow most microgreens with sunlight coming through your window, or in bright, ambient room light. If you want to get serious about growing more and keeping a consistent yield, you can buy T5 fluorescents or LED lights specifically made for growing plants. Most microgreens like an environment of 18-25°C. How to Grow in 5 Easy Steps! Larger seeds (pea, sunflower, beets etc.) need to be soaked for 4-12 hours to help speed up germination. Smaller seeds can be planted without soaking. Moisten your growing medium, whether it be hemp mats, soil, or even paper towels. It should be moist to the touch, but not completely soaked. You’ll get the hang of proper moisture levels after a few tries. Generously sprinkle your seeds onto the medium so that they are evenly spaced with small gaps in between. Give your seeds a light spray so that they make good contact with the medium and are moist enough to germinate. Cover your tray with another upside down tray or lid in order to ensure a humid, dark environment for germination. Depending on the plant, this process will usually take anywhere from 1-5 days. Check the moisture levels every 12-24 hours - the medium should always be slightly moist but never too wet, as the seeds can drown or develop mold. Water every day and watch the magic happen! Your plants should grow 4-10cm depending on the variety. What are you looking for are fully spread cotyledons (the 2 baby leaves that first emerge) and healthy looking colors. If you see adult leaves starting to peek through, that’s usually too late for our taste, but you might enjoy the unique visual flair of each different plant. Harvest once mature with scissors or sharp shears!